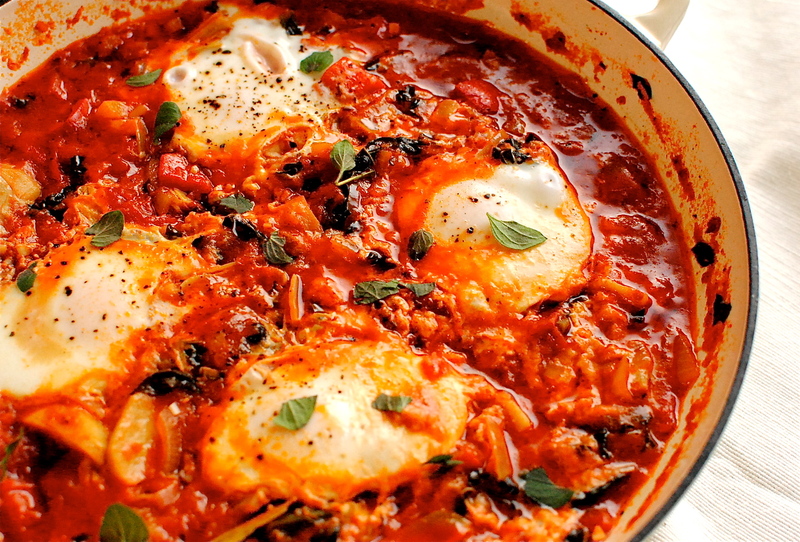 Shakshuka, for the uninitiated, is a highly aromatic tomato and egg dish enjoyed all across North Africa and Israel. Ostensibly eaten for breakfast, it is probably eaten just as much for lunch and dinner, with a pile of salad and and an even bigger pile of fluffy white bread to mop up the savoury juices. I think the bread thing may even be a law. And if not, it should be: it absolutely cries out to have every crimson morsel eaten, with bread being the most efficient and delightful way to do so. Although it is pretty quick to make I find doing the tomatoey bit the day before, and heating it up in the morning, is definitely the way to proceed. I recommend this method in order to a) not incur the wrath of any sleeping teenagers (your own or any stray ones staying the night), b) to get a bit more sleep yourself, c) see a. When everyone is awake just slide the raw eggs onto the simmering sauce, pop on the lid and a luxurious breakfast is yours before you know it. If you are really a morning person you could fry up a batch of last weeks’ Rosemary and Thyme Socca de Nice for scooping and mopping. But that’s just showing off, isn’t it? Another herb-flavoured recipe for Herbs on Saturday, this month hosted by Vanesther over at Bangers and Mash. She probably thinks I’m stalking her so I will calm down with the herb entries! This recipe was inspired by a dish of North African shakshuka my Miss A recently ate at the fabulously rustic-chic and award-winning Earthy Café in Canonmills, Edinburgh. She loved it, pressing the accompanying wholesome bread into the iron skillet of brick-red, spicy sauce with much gusto. And barely a taste of it left for me (bad form). The miniscule mouthful I did manage to taste was indeed delicious, and I couldn’t wait to have a go at something similar myself. A bit of noodling around on the Internet looking at Yotam Ottolenghi’s and Tori Avey’s recipes, and a glance at the dish’s history on our friend Mr Wikipedia, was all I needed to take off in my own food to glow direction (yup, there’s kale in there). I zoozhed it up with some Mediterranean-ish store cupboard finds and spices I rely on for pep and depth, but you can easily strip it back, or freestyle. As you wish. The main essentials are tomatoes, onions, cumin and eggs. The rest is play. You may like to make double of the sauce and take some to work with you, with bread and salad. 1) Heat the oil in a large skillet. Add the onions and gently sauté for five minutes, or until the onion softens and loses its translucence. 2) Add the garlic, paprikas/cayenne, cumin seed/ground cumin, bay leaves, cardamom and coriander (if using), antipasti pepper and artichoke pieces, and sauté for a further three or four minutes. 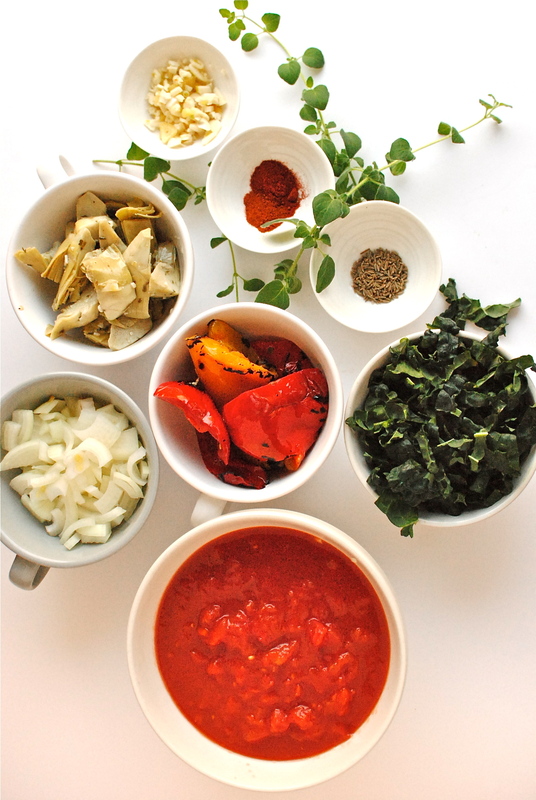 3) Add the tomatoes with their juices, the kale, sugar, seasoning and oregano. Let this simmer until the sauce begins to reduce and become very fragrant – about 10 minutes. Taste for seasoning, adjusting with sugar, spice, and salt as you like. 4) With the sauce simmering, push in little indentations evenly around the surface and crack in the eggs. Cover the pan with a lid or tent of foil and let the eggs poach on the sauce for about 10 minutes. You want the whites set and the yolks runny, but cook a bit more if you want them firmer. For anyone with immunity issues (health, not legal) perhaps hard cook eggs separately and slice over the sauce when serving. This is a good option for any leftover sauce that you might want to take to work. 5) Serve immediately with extra herbs, hot sauce for those who want more heat, and plenty of bread for mopping. Note: You can make the sauce ahead and reheat, adding the eggs once the sauce simmers. Perhaps add a bit of water if the sauce is too thick. For Soft Food Diets: Blend the sauce to your desired consistency and carry on with poaching the eggs. I was reading JERUSALEM over the weekend and dying to make their version of Shakshuka. I really love that you added Kale!! Oh you know me Alyssa, I whack kale (or chard, in season) in anything I can get away with. It is a staple Scottish crop but unbelievably only now being stocked widely everywhere here. Previously the cows got all its goodness! Ottolenghi is one of my culinary ‘idols’. Although I have been cooking things similar to him for a long time, I am blown away by his flourishes and interpretations, and of course his authenticity. This sounds like my dream breakfast. 100% bookmarked, thank you! 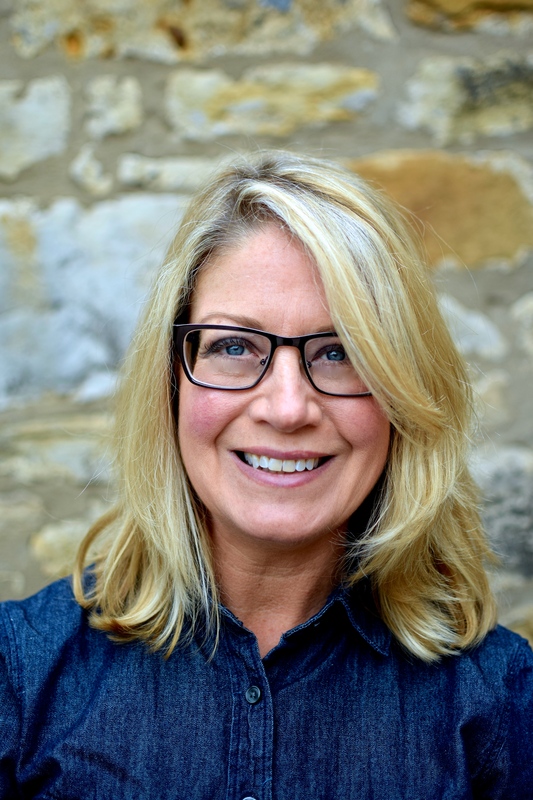 I too have also bookedmarked it (well pinterest…its the same right!). Love the look of it, and it looks like a good option for a box lunch at the office! It has been so cold here, freezing at night, mid 40’s during the day. (I know I’m spoiled!) the Shakshuka would be percect for dinner! Easy and lush with rich flavor a stellar weeknight meal. This looks so good, can’t wait to try it. This does look good, warming and good for you too. This Shakshuka certainly sounds aromatic and looks very appetising, Kellie. I love Ottonlenghi’s work, don’t you?! Love him. I have been lucky enough (and temporarily rich enough) to have picked up bits from one of his delis for a special picnic in Hyde Park, near the Serpentine. Enjoyed every last finger-licking morsel. HOpe you have cooled down a bit in Canberra. Wowza Shakshuka!! I love the name and the look of this dish. Have to admit that it is a new one for me. I can’t wait to give it a try so I’m going to Pin so I don’t forget. Thanks for sharing! Thanks so much Nancy. I love it when I come across something new too. Thanks also for the Pin. As for your book, I have a week to myself in mid-February so hopefully I can properly read it and put it into practise. I especially love your dark background work. I would love to get to grips with that. This looks simply fabulous! And since I have eggs from my hens and kale from my garden, I’m already halfway there on the ingredients. I think I’ll make it tomorrow. Thanks for the idea! Um, smoked garlic cloves? What?! Where do you get that? If you’re going to be sending in recipes like this, you can stalk me as much as you like! 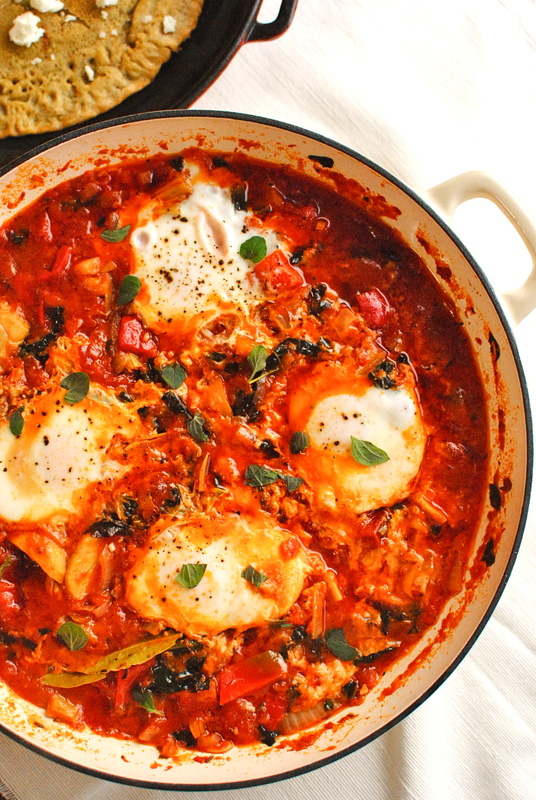 I adore Shakshuka and your version sounds incredible. Love the photography too. Another wonderful entry for January’s Herbs on Saturday – thanks so much for sharing. I’ve also posted shakshuka recently.. and i totally love this dish. Yours look scrumptious! Gorgeous eggy tomato dish, and believe it or not, I have every single ingredient you listed on hand! But, you knew that, right? :-). I think we are both tied for the title Queen of Kale. Can’t wait to give this delicious dish a go! OKay, so we are BOTH queens of kale. I think that’s a spiffy crown to share, although I think we should share it with Alyssa at Everyday Maven too. Let me know if you make this shakshuka and what you do with it. Very adaptable dish as you can probably tell. To think I’ve lived this long and never eaten (or, for that matter, heard of) shakshuka – need to get out more. Really looks and sounds like a great way to start a Sunday, and it will be all the better after a month of roti and spicy noodles for breakfast, I suspect. Something to look forward to. Ah…I always learn something on your blog so I’m glad I can do the same! Btw, roti and spicy noodles for breakfast sounds heavenly to me. PRobably not everyday though 😀 I hope you get to enjoy being home for awhile. Actually, I rather like the breakfasts here, except for the fact that they’re usually eaten alone in a hawker center. Either you’re a good guesser or I’m being stalked. I have the same dish as that and love the look of this! Got to say, I loathed Kula Shaker. Smug weren’t they? Fake hippy karma stuff, but these new guys are quite sweet. I got my casserole dish from Sainsburys. Did you? If you look around you can find some nice kitchen bits there, can’t you? I had to wait ages for the cream one to come back in but I love it! Reblogged this on Salty Paprika. I adore shakshuka and KP and have it often at Baker & Spice for breakfast on a weekend overlooking the tallest building in the world. Bookmarked this recipe for when we want to stay at home.